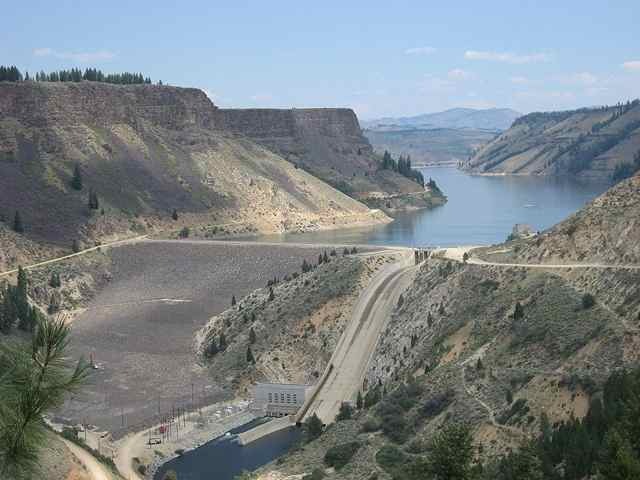 We are fortunate that Idaho is home to extensive hydroelectric resources that offer reliable and renewable energy. Hydropower is the source of more than 75 percent of Idaho's electricity generation, and hydropower efficiently and cleanly provides approximately 7 percent of the nation's electricity. Recent action in Congress will better enable the expansion of this important energy source. To better employ our nation's hydroelectric resources, I co-sponsored two pieces of legislation that were recently enacted into law. S.545, the Hydropower Improvement Act, which was introduced by Sen. Lisa Murkowski (R-Alaska) and also co-sponsored by 12 of my Senate colleagues including Jim Risch (R-Idaho), would increase the United States' hydropower capacity in an effort to expand clean power generation and spur domestic job creation. The bipartisan legislation would expand the production and capacity of hydropower by streamlining review of small conduit projects and extending power production potential to existing non-powered dams. The legislation also calls for the U.S. Department of Energy to study the technical flexibility and grid reliability benefits that pumped storage facilities could provide to intermittent renewable energy and the range of opportunities for conduit hydropower potential. Importantly, the legislation helps increase hydropower capacity without increasing the country's out-of-control deficit. S.306, the Bureau of Reclamation Small Conduit Hydropower Development and Rural Jobs Act, which was introduced by Sen. John Barrasso (R-Wyoming) and also co-sponsored by Sen. Jim Risch, would authorize development of small conduit hydropower at U.S. Department of Interior Bureau of Reclamation facilities. Estimates indicate that this hydropower development could power 30,000 homes. Companion versions of these two bills that were introduced in the U.S. House of Representatives as H.R.267 and H.R.678 were passed by the U.S. House of Representatives earlier this year. The U.S. Senate passed both measures prior to the August state work period. On Aug. 9, President Obama signed both pieces of legislation into law. The enactment of this legislation will broaden energy production and job opportunities. An obvious lesson of America's energy situation is that the United States must not become overly reliant on one form of energy, and we must be as conservative, efficient and as careful in the utilization of our energy as possible. A successful national energy policy should be shaped like a financial portfolio made up of many different energy sources, including needed hydropower initiatives. We must continue to seek ways to better utilize this important resource. According to the U.S. Department of Energy, the United States has the potential for 300 gigawatts of additional hydropower. Enactment of this legislation is a step in the right direction for better utilizing that energy source. Mike Crapo is Idaho's senior U.S. senator.